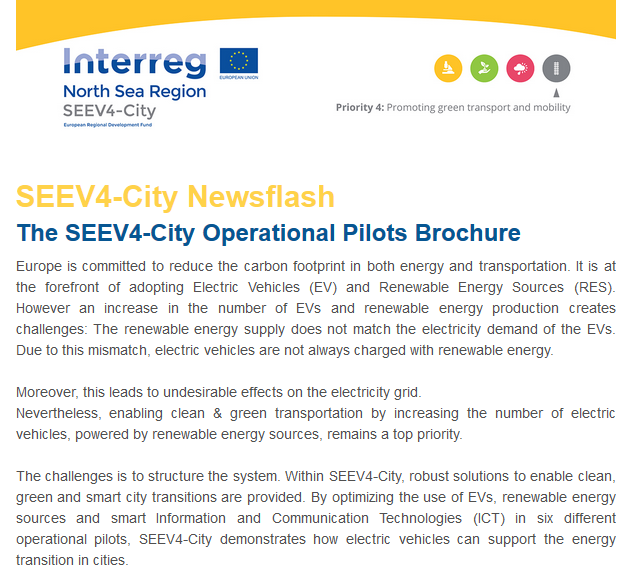 With this new brochure, SEEV4-City aims to reach and inspire a more applied oriented public in the municipality. The non-technical nature of the writing, makes an easier read and thus grants the reader the stories behind the pilots on a different level. Read our third newsflash here! Visit our output library on our North Sea Region webspace.